These are my latest miniature paintings, painted today in fact. My husband, Adrian gave me the idea of a surfing theme, he loves to challenge me and so this is what I’ve come up with. Surfers beach, is a miniature seascape painted in encaustic wax paints, as always. Shown here in a white frame 3 x 4 inches, the picture has a surfer on the waves, spare surf boards on the beach and the surfers van parked under the tree. Could this be California or Cornwall ? 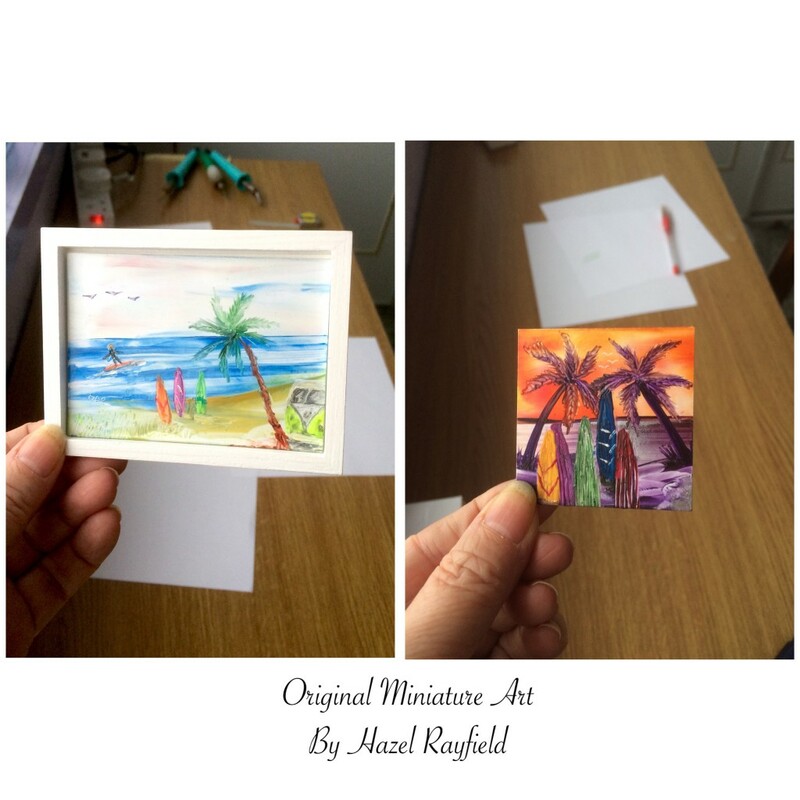 A 2 x 2 inch miniature sunset painting with an array for surf boards on the beach, the sun setting over the sea and palm trees in silhouette…. These beach scene dollhouse paintings would be great in a miniature property, beach hut, seaside retreat or Malibu Beach house maybe ?